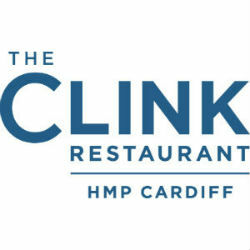 Visit The Clink Restaurant at HMP Cardiff – a dining experience delivering change, staffed by prisoners working towards City & Guilds NVQs in Food Preparation, Food Service and Customer Service, leading to employment in the UK hospitality industry upon release. Excellent food and very courteous and efficient service. All staff were very friendly and efficient, thoroughly enjoyed the meal and have told lots of people about our visit already. Would definitely revisit, thanks ALL!!!!! Great charity organisation working towards the rehabilitation of prisoners. The food was of a very high standard and the veg cooked to perfection. The dinning experience was great with good service. Would definitely recommend a visit. We had a three course sunday lunch, the food, the service and the atmosphere were exceptional. I would not hesitate to go again. An excellent restaurant. Unique experience, excellent service and fabulous traditional food. Superb food served in a great environment with attentive staff. The best meal we've had on ages. Everything from start to finish was outstanding. Immaculate service, quality atmosphere and even better food. Probably the nicest tasting salmon I have ever had! Keep up the good work, 10/10 would recommend to anyone with a passion for food. The Clink has great reputation, and it exceeded my high expectations. The food is fine dining without being pretentious. I was a bit suspect on portion sizes in the first two courses, but it left room for the very generous main. I didn't miss alcoholic drinks as the mocktails were amazing. The waiting staff were attentive without being overbearing, and they were very friendly. Can't wait to return! Excellent food and service. Thank you. Excellent quality food on both visits. Staff very friendly and professional. Atmosphere lovely. Good service and enjoyed food although my choices involved quite a bit of fried food which I hadn't quite expected. Nice atmosphere and attention to detail  and servie. Would come again. The whole experience was excellent. The service was top notch and the food was amazing. We attended for our 10year anniversary and couldn’t of hoped for a better evening. Thank you. We had a lovely evening. The venue had a wonderful atmosphere and the decor was really modern. I especially loved reading the poetry. The food was lovely! This was a long awaited visit for my wiife's 50th birthay. It was a lovely evening and nothing was dissappointing. If we lived locally we would visit often. 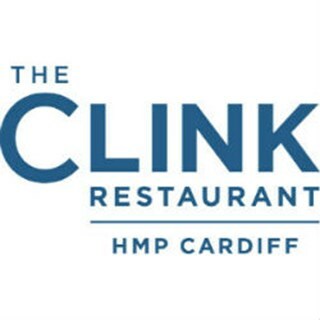 We had heard only recently about The Clink Restaurant, and were in Cardiff for our 30th wedding anniversary. We thought it would be great to have lunch there so we booked. We couldn’t have chosen better if we tried. The service was very good, the staff were extremely good and the food was superb. We live in Brighton so Cardiff may be a little far for our next visit, but there are two more Clink’s closer to us and we shall certainly be booking them soon. A great experience and example of doing something constructive with people who deserve a chance to change their lives for the better after a rough period in their life. Well done guys a real inspirational experience, that deserves to be shouted about. Thank you for making our anniversary an extra special day. Found this on TripAdvisor and was very happy to have gone. Fantastic food and service. We was charged £5 extra on the bill we do not know why?? I'd originally heard about The Clink on The Food programme Radio 4 and was very impressed with what I'd learnt about the charity, so was keen to experience dining there. The serving staff were charming and very efficient, the food was presented well and with interesting flavour combinations. We experienced a rather long wait between our mains and dessert but it was well worth it when they arrived, they were delicious! We enjoyed a really good lunch and felt very well looked after. This is such an excellent project and it would be good to see the restaurants expand. Very pleasant surroundings, vibrant atmosphere and jolly, friendly service...food scrumptious too and all in a very good cause, which trumps everything! 10 of us had cooked breakfast, every element of the breakfast was spot on.